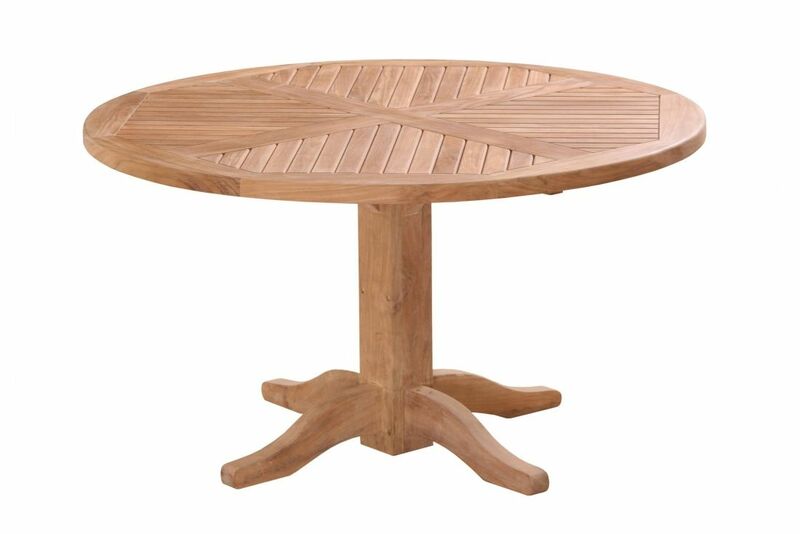 Round Dining Table is a great addition to any outdoor space. there is nothing more superior that teak for use outdoors. Its dense grain and high natural oil content make it supremely workable and very unlikely to crack or split along the grain. These unique qualities will help protect against fungal and insect attack as well. The individual joints areas are hand cut using mortice and tenon joints which are then reinforced using teak dowels ensuring a robust end product of the highest quality that will last for years. The natural ageing process will turn the honey-coloured lustre to an equally attractive silver-grey patina over time. We do not recommend the use of Teak Oil as it may ruin your bench but we do sell a number of water based Teak Care Products for cosmetic purposes if so desired.